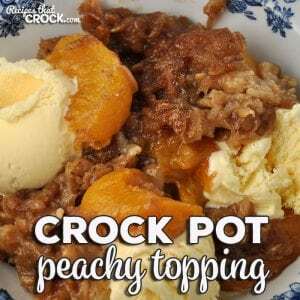 Crock Pot Peachy Topping - Recipes That Crock! 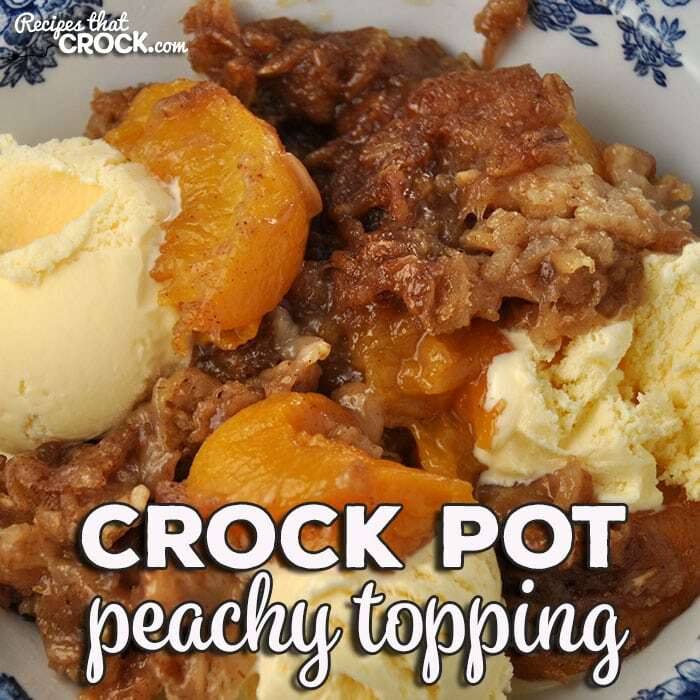 No matter the season, this Crock Pot Peachy Topping is going to satisfy your sweet tooth! 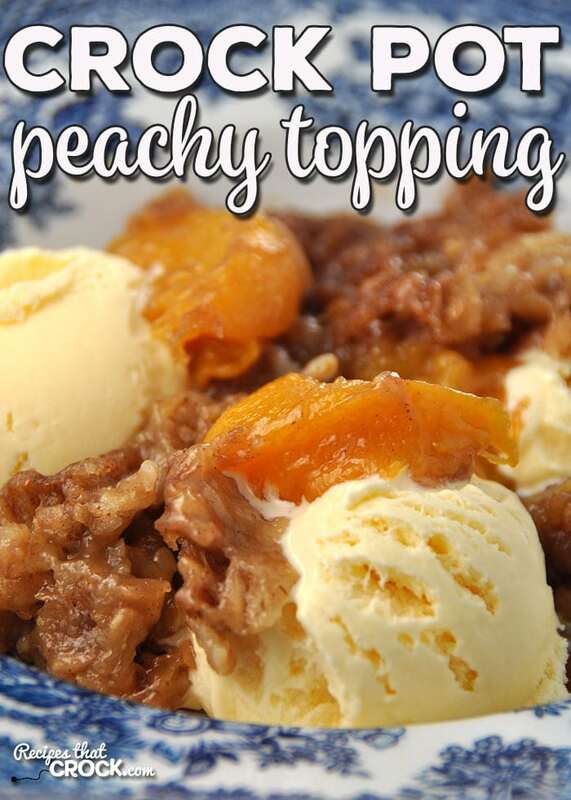 You can make it with fresh, frozen or canned peaches! 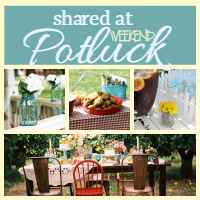 Note: Scroll to the bottom of the post for the printable recipe. This recipe is great for many reasons, but being able to make it with fresh, frozen or canned peaches is definitely a biggie! I haven’t tried it without the oatmeal. If you do try it, I would try adding a little more biscuit mix to make up for the lack of oats. Otherwise, it might have too much liquid. If you give it a try, let me know how it turns out!